I love watching cooking videos on the net.I have some favorites and I keep watching it again and again so much so that the recipe and even the background music is imprinted in my mind.Saee's cooking videos are a beauty by itself.Irrespective of whether you try the recipe or not,I can assure you'll fall in love with it,for sure. I don't know how many times I've watched her bread video.I keep looking for a difficult step somewhere,I mean there has to be right?How can someone make bread baking look so easy?After baking with yeast for a while now,I am a little bit more confident than I was before when I attempt a recipe. When I saw her Calzones video,I knew right there that this was one recipe I could see myself baking again and again.Ajay is a total savories person and he is only too happy that I am trying out savory bakes he could gorge on and this one was a sure shot winner.Crunchy bell peppers with a slight tang from the tomatoes along with cheese,I am in love with this one! 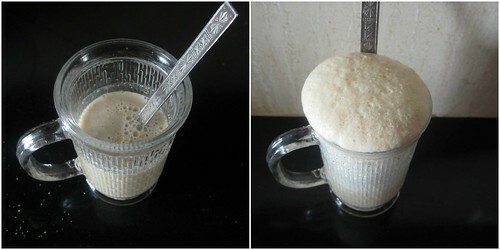 Mix together warm water,yeast and sugar in a bowl.Let it rest for 2-3 minutes till frothy. 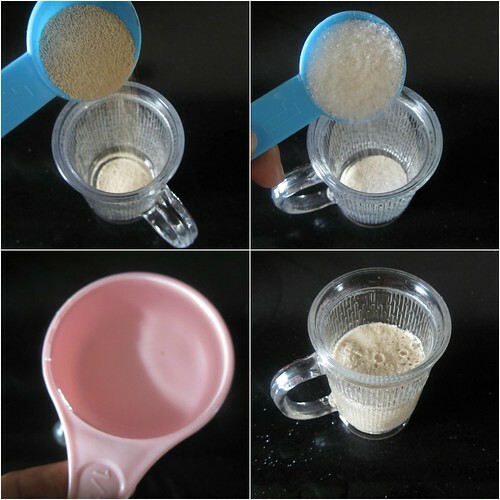 In a big mixing bowl add flour and mix in salt.Pour the yeast mixture and start kneading the dough.Add more lukewarm water as required till you get a smooth dough. As an additional step,I kneaded the dough for around 5 minutes on my counter top till the dough was smooth and shiny,but this step is optional. Smear some oil on the bowl in which the dough was mixed and place the dough in it to rise.It took an hour in my kitchen for the dough to rise double its size. 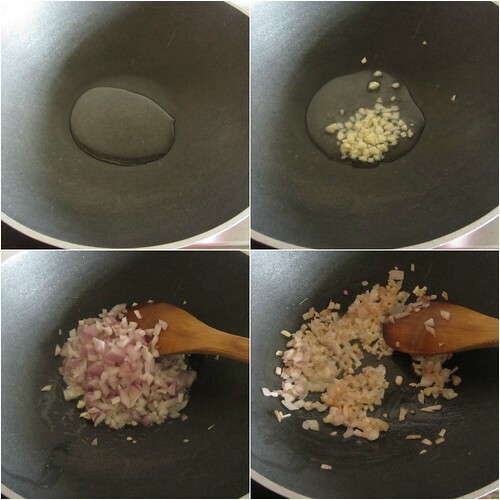 In a kadai add oil and saute the minced garlic and onions till golden brown. Mix in the chopped tomatoes followed by the bell peppers. 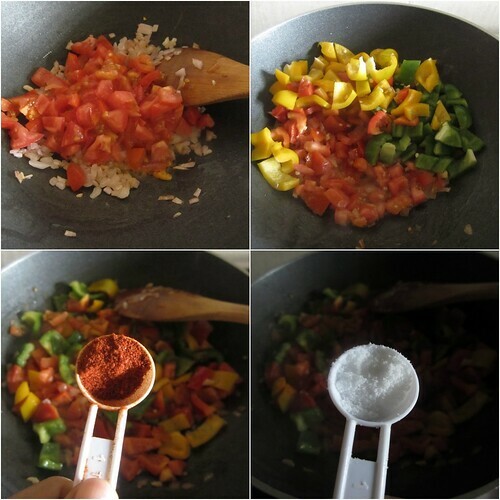 Add red chilly powder,salt and tomato ketchup and saute for 2-3 minutes. 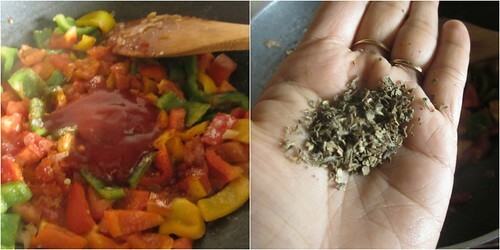 Mix in the dried basil and switch off the flame. 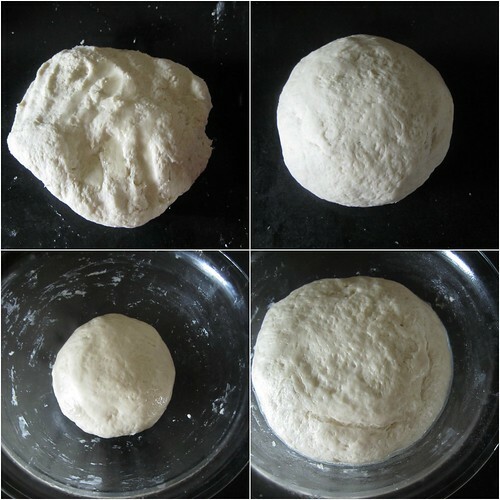 Punch down the dough and divide into 8 equal portions.Flour the counter top and roll the dough into a round shape approximately 7-8' diameter. Place the filling-about 2 tbsp and top with the grated cheese and fold over. 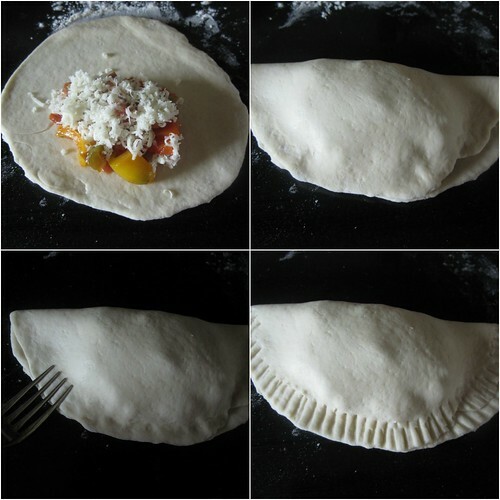 Seal the edges using a fork.Brush the top of the calzones with the beaten egg,if using. 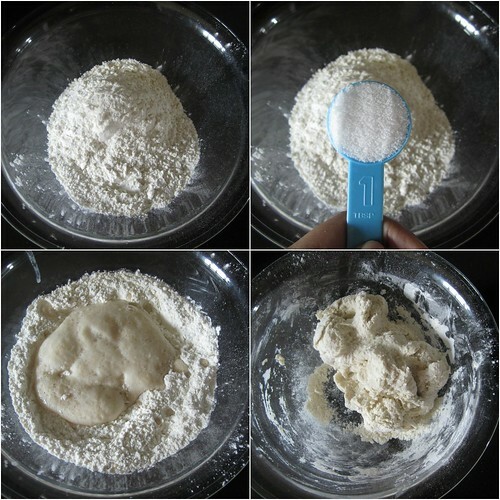 Transfer to a baking sheet and bake at 200C for 10-12 minutes or until golden brown. These look delicious. Loved the filling. Divya u have become a master in bread varieties too!!! 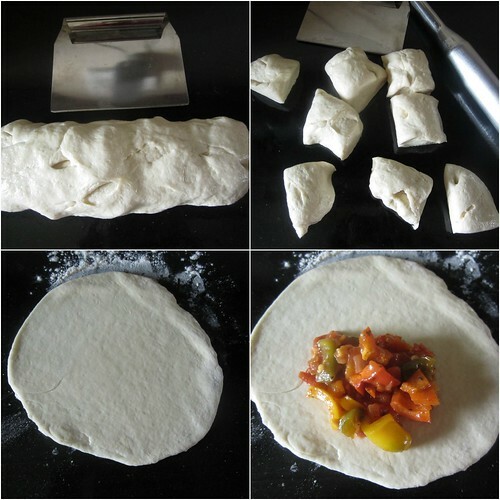 Calzone looks Super! 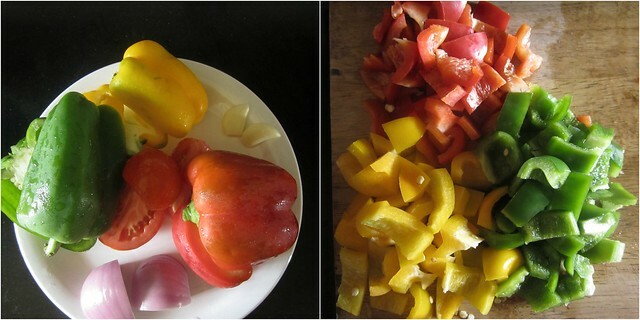 lovely combo of bell peppers :) i liked the shape ! 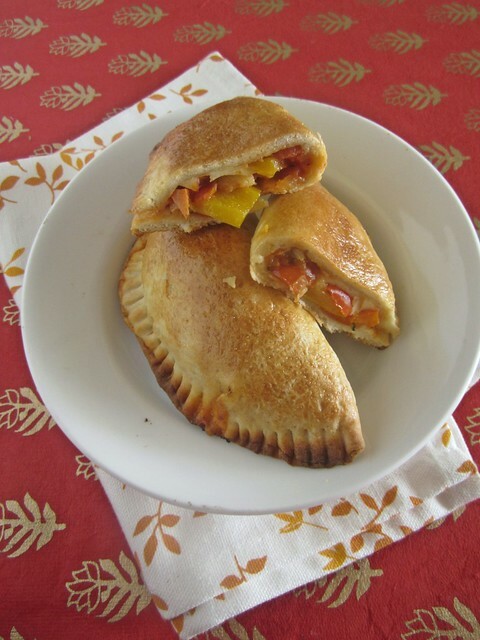 Bell pepper calzones looks fabulous, i cant imagine my calzones without cheese in it. 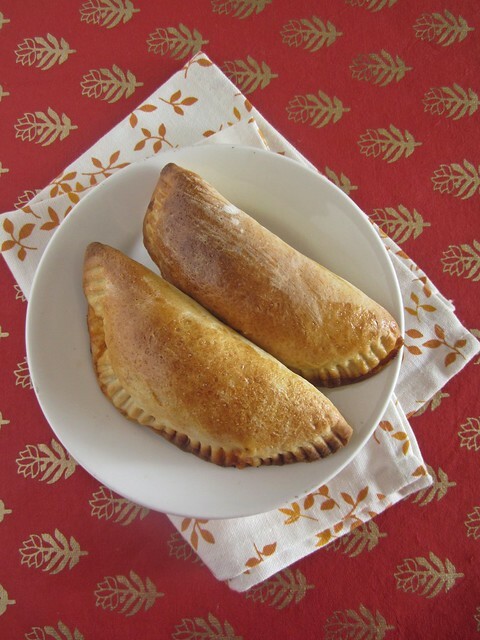 yummy delicious calzones with awesome clicks. Looks perfect :) A very yummy savory ! !